Kindly apologize for not update frequently. 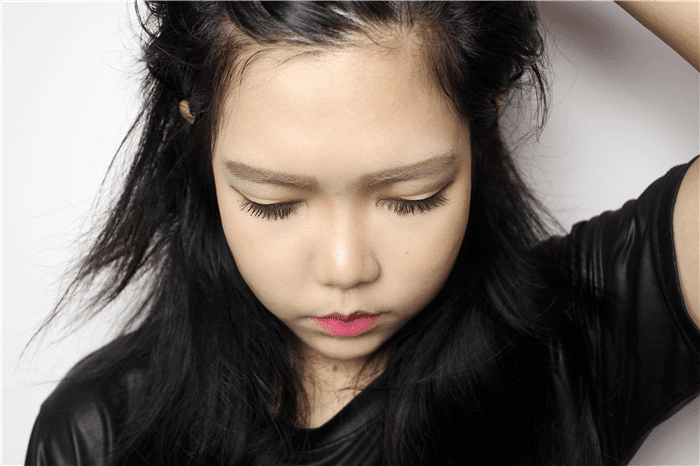 Get back to beauty topic in this post. Yes! Nothing is even better than playing beauty around, hahahaha.... In this post, I would like to review another product from BCL cosmetic brand. 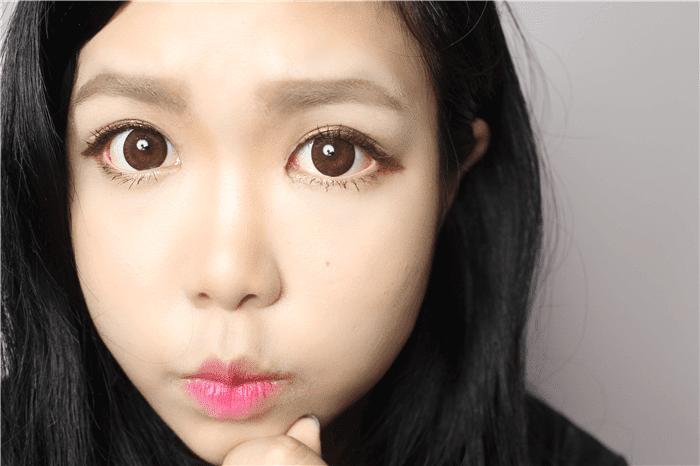 For your information, I have reviewed many BCL products like BCL Browlash EX Strong Water Deep Black Eyeliner, BCL Makeup Workshop with Tanabe-San & BCL Brow Lash EX Lash Curler Express. 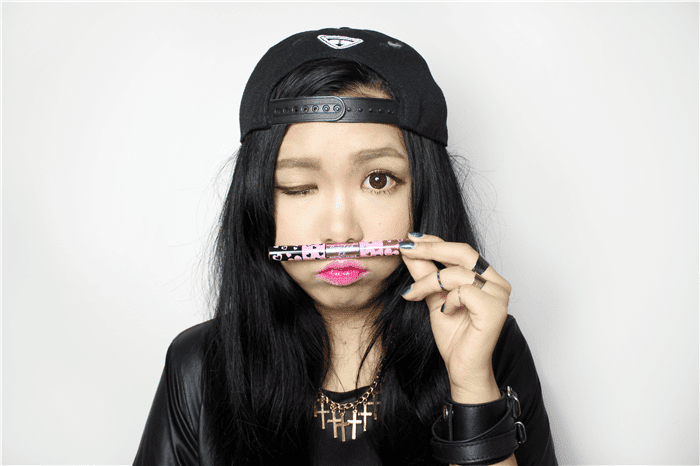 I am always happy with BCL products and their signature eyeliner still one of my top favorite liquid eyeliner in list. Here's another product would like to review and share with you guys here. 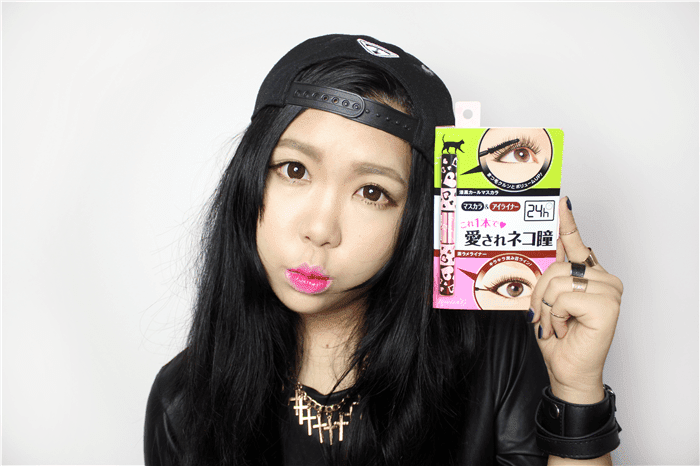 Is BCL Brow Lash EX Perfect Mascara & Eyeliner. Yes!! This product is even more fancy because is two product (mascara + eyeliner) in one with only one price. How awesome was that! Let's talk about the packaging. It's fancy and colorful! It is striking enough to get attention. 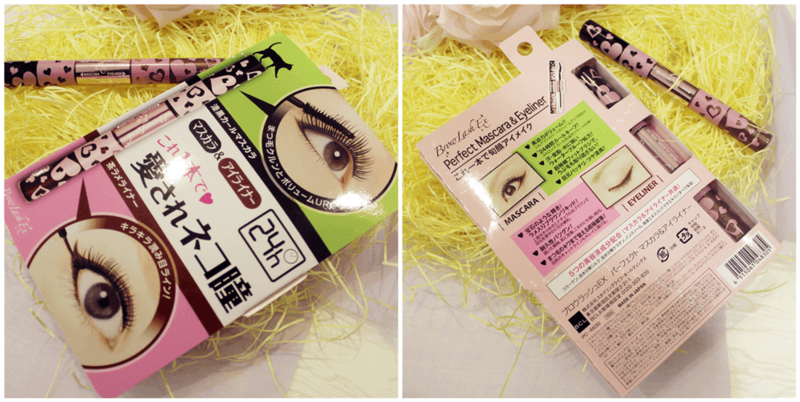 The packaging with combination of lime green and hot pink where the color representing mascara and eyeliner. The design of BCL Brow Lash EX Perfect Mascara & Eyeliner is a twin headed applicator aka two in one that makes easy and convenient for outside and travel use. A twin headed pink tube pen design with love shape pattern on it. 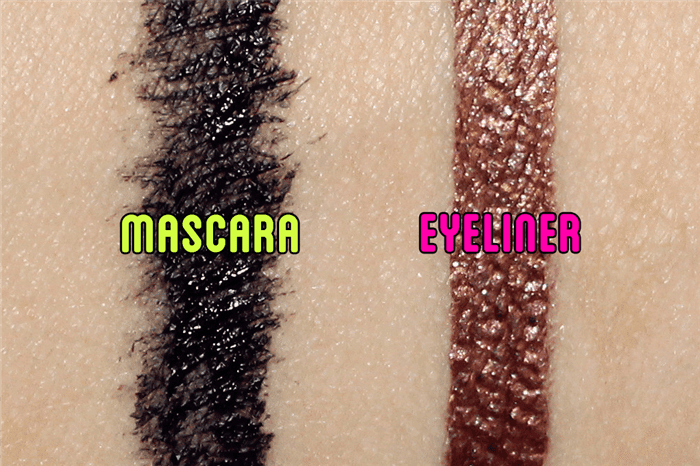 Metalic pink color in center with name, some information and the label of mascara and eyeliner; then black with love pattern side is mascara while the brown with love pattern side is brown eyeliner. The color of mascara is jet black color. The design of the brush is curved and the wand is in heart-shaped with soft-fine bristles (thin to thick wand of design). I always prefer curved-shaped brushes mascara and this just fulfill the requirement. The design helps easy build up volume to mascara. 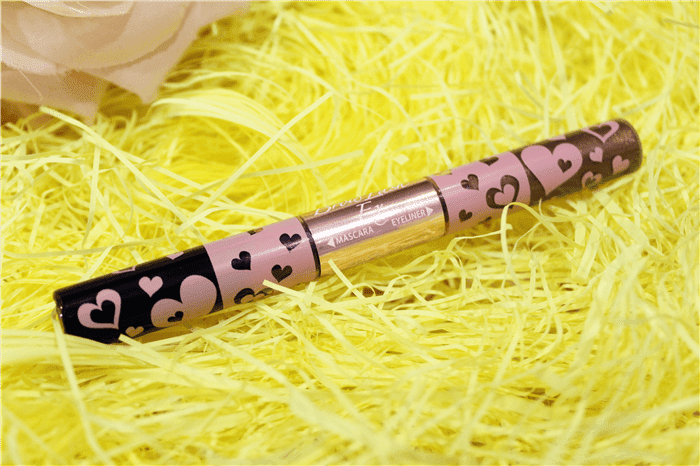 Other than that, the design of wand (heart-shaped) helps to grasp the lashes easily without apply too much. Then, I have test three ways on this mascara. First, I apply mascara without pre-curl my lashes, the result I found was my lashes is slight-curl but not as curl as can open my little cute eyes. 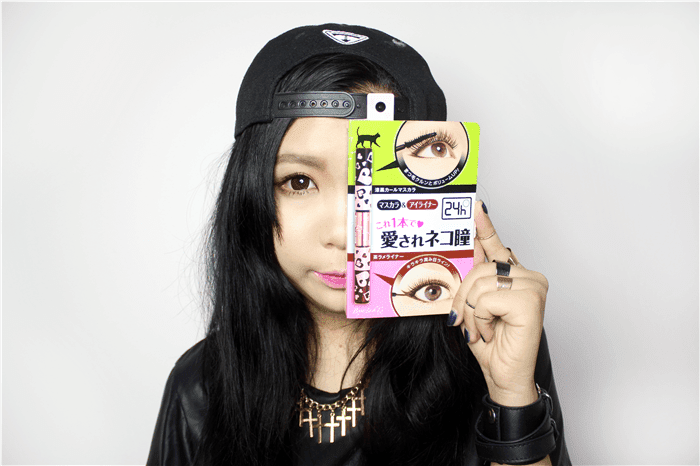 I think this result was very persona because my eye-lashes is straight, droopy and stubborn. Second, curled my eyelashes and apply using this mascara. 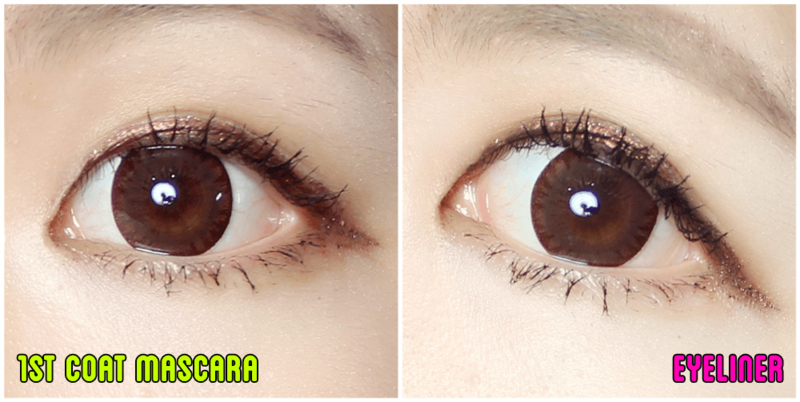 I am so much happy with the result because this mascara helps me build up volume without clumpy too much. It does hold my lashes last longer as well. Third, I was pre-curl and apply a base coat before apply this mascara. The result was my lashes really volumizing and curled because of the base coat helps me strengthen my lashes. 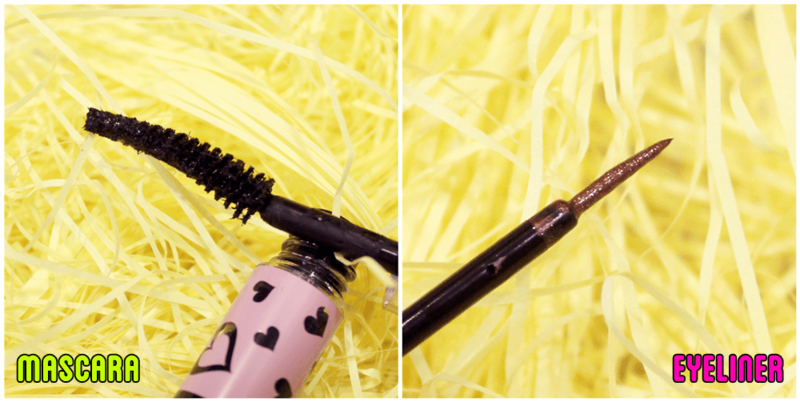 Besides that, the big con of this mascara is not clump up and easy to separate lashes. In conclusion, this mascara can be used with other mascara as well. 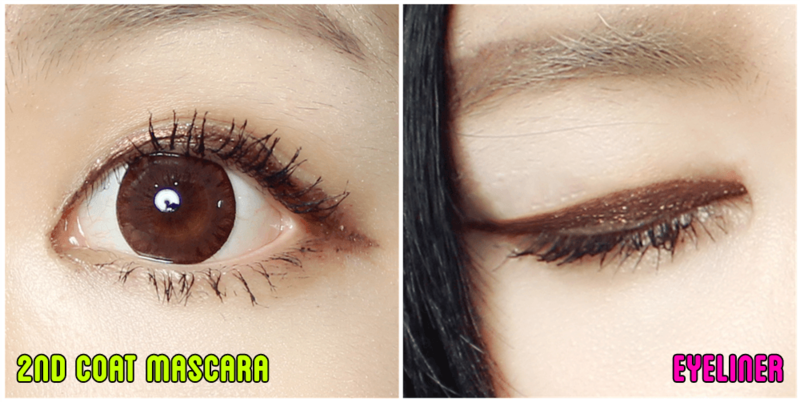 The color of the eyeliner is shiny brown. The shade of the brown is reddish coffee color with super-fined gold glitter in it. This eyeliner is in liquid type and the pigment is good. The color can be archive with only one swatch. The texture is creamy, smooth and easy to apply with thin fine brush. It does not dry as fast as the next second but this eyeliner still dry easy. Advice not overlay swatch of eyeliner before the layer has dry up. Hehehe.... Let's talk about the main part of every cosmetic. As you can see the picture above... YES! 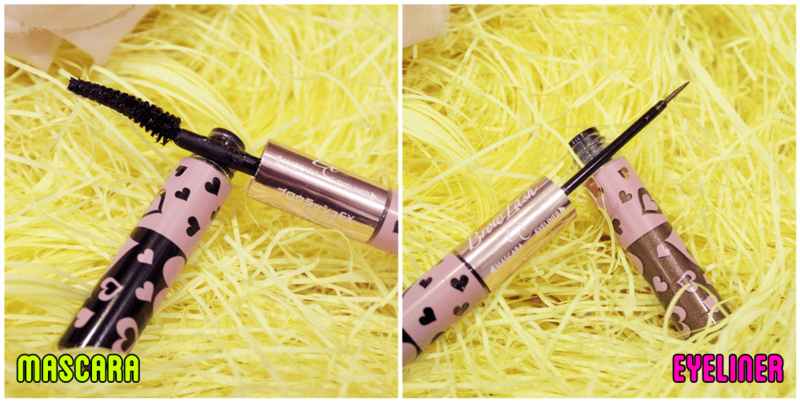 BCL Brow Lash EX Perfect Mascara & Eyeliner is smudge-proof and water-proof. Just have to claim that, eyeliner has to be dry up completely. 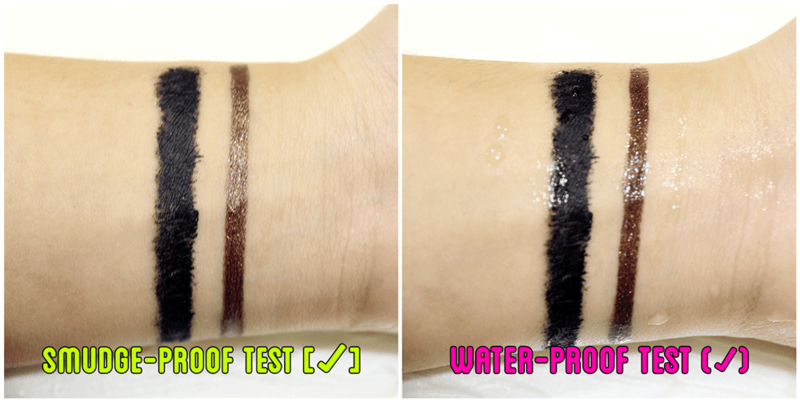 Water-proof and smudge-proof is high. Awesome! Besides than that, this product does not turns your eyes into panda because the eyeliner is in liquid type so the percentage is almost 0% while the mascara, I have to retain my answer as every eyes perform different condition, as for me this mascara did a great job! Oh ya... Not to mention that this product contains beauty moisturizing ingredients to helps eyes and lashes less damage. The ingredients are Collagen, Hydrolyzed Silk, Hydrolyzed Keratin, Panthenol (eyelash protecting ingredient), Fucus Vesiculosus Extract. This is one of the reasons why I love BCL. feel free to visit BCL Malaysia, http://www.fb.com/BclMalaysia. i won this item from BCL fb giveaway. I really love the mascara, but the eyeliner's colour is too light and it doesn't really show well on my tanned skin tone. maybe i need to layer a lighter shadow colour on my lids before lining with the eyeliner. the mascara is hard to remove as well, hehe! definitely water-proof!